Use the purchase links on this page for purchasing an annual subscription without automated/recurring billing, or to renew the maintenance term for your previous “Single Pay” purchase by adding support, updates, and hosted cloud access. Licensing is per company, per user (NOT per-PC/etc.) so one user license can use the software on as many PCs as they can fix at a single time. This purchase REQUIRES MANUAL RENEWAL by each anniversary date of the original purchase, to maintain an active subscription account and avoid service disruption. Note this option does NOT ‘lock in’ the annual licensing rate, which is subject to the current pricing agreement and terms for manual license renewal at the time your renewal is due. For the convenience of automatic billing and renewal, please purchase at the d7x page to ‘lock in’ your renewal rate today! 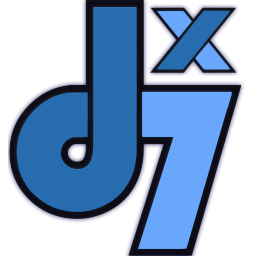 d7x 1-year term allows usage, support, updates, and hosted cloud access for one year with one user license. d7x 3-year term allows usage, support, updates, and hosted cloud access for three years with one user license, and comes with a great discount ($200) compared to a 1 year term! Includes 75 resell-able CryptoPrevent White-Label 1-year licenses! The Multi-Tech (12) License Upgrade allows your company to license up to 12 employees (total) with this 3 year license term purchase. d7x 5-year term allows usage, support, updates, and hosted cloud access for five years with one user license, and comes with a great discount ($200) compared to a 3 year term, or ($400) compared to 1 year terms! Includes 125 resell-able CryptoPrevent White-Label 1-year licenses! The Multi-Tech (12) License Upgrade allows your company to license up to 12 employees (total) with this 5 year license term purchase.